Known as the First Lady of Country Music, she sang "Stand by Your Man" and collaborated with many popular artists, including Loretta Lynn. She grew up on a farm owned by her grandparents and picked cotton as a child with the hired fieldhands. 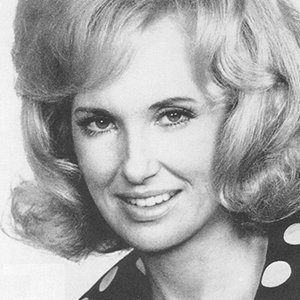 She is associated with Loretta Lynn and Dolly Parton as pioneering women of country music. She married five times: first to Euple Byrd in 1959, then to Don Chapel in 1967, then to George Jones in 1969, to Michael Tomlin in 1976, and then to George Richey on July 6, 1978. She had four children, Georgette, Jackie, Gwendolyn, and Tina. Emmylou Harris appeared on Wynette's album Higher Ground.